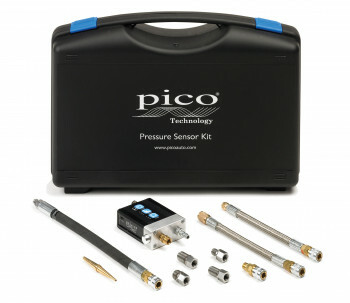 The Pico AST adaptor kit enables you to use your WPS500X as a replacement for the gauge in a wide range of AST pressure testing kits. This kit enables you to re-use your existing adaptors and still gain the advantages of seeing pressure activity in real time with the WPS500X. The Pico Sykes-Pickavant adaptor kit enables you to use your WPS500X as a replacement for the gauge in a wide range of Sykes-Pickavant pressure test kits. This kit enables you to re-use your existing adaptors and still gain the advantages of seeing pressure activity in real time with the WPS500X. 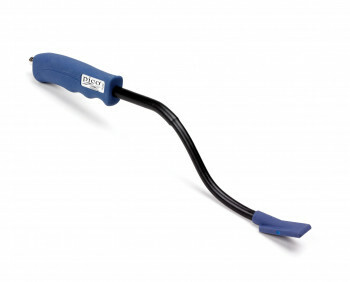 The Pico Vacuum Tap provides a simple way to connect the WPS500X into an existing vacuum hose. Simply disconnect one end of the hose, insert the tap and use an additional short length of hose to reconnect the system. 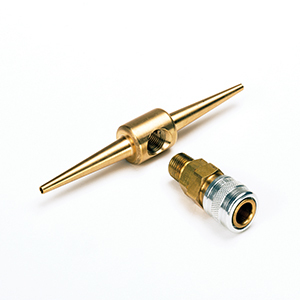 The Pico fuel hose pressure tap provides a simple way to connect the WPS500X into an existing fuel or other suitably sized hose. 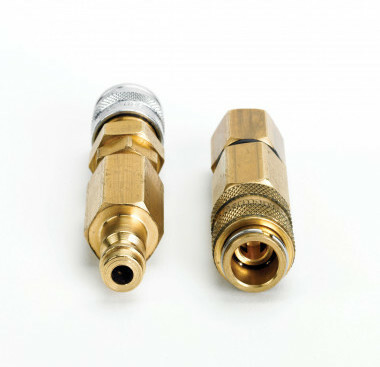 Simply disconnect one end of the hose, insert the tap and use an additional short length of hose to reconnect the system. Last month we announced our new Waveform Library competition. We've had nearly 200 waveforms uploaded since the competition started. Don't forget, the more waveforms you upload, the greater your chance of winning. Every uploaded waveform is another chance to win! Top Tech Live! 2015 was a fantastic show. A new format that included open discussions, interactive training sessions, fact filled informative classroom presentations, and of course announcing the winner of one of the most respected Automotive Technician awards of the year, there is little surprise to hear of Top Tech Live's success. Pico's very own Steve Smith (both a previous winner of Top Tech, and an ex-Toyota Master Tech) gave a 40 minute class on PicoScope, covering Maths Channels and Custom Probes. In addition to this there were classes and live demonstrations from Snap-On, Frank Massey, James Dillon, and Jim Gilmour. For download relating to various maths channels and custom probes Steve used during his class, please visit our support forum. Q: Is there an easy was to clean up waveforms apart from using filters on each channel? I was checking O2 sensors and there was a lot of noise when watching in real time but the filter cleaned it up at the end of each run? Ensuring test leads are not running alongside consumers such as igniter, HT leads, and injectors. Ensure the scope is grounded to a good vehicle chassis ground. Ensure only the Pico blue USB cable is used to connect your scope to the PC, avoid USB extension leads. Remove external battery chargers from vehicles under test (unless required for battery support). Be aware of environmental conditions that can effect your capture such as noisy mains power supplies (ground), fluorescent lighting, and overhead power cables. 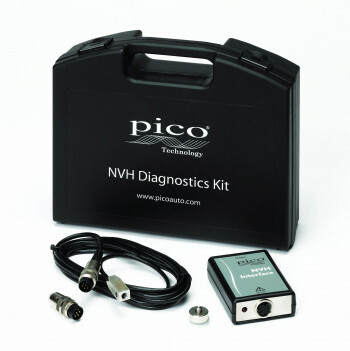 Incorporated into the hardware and software are features to combat noise such as low pass filters (all scopes) and bandwidth limiters (PicoScope 4225 and PicoScope 4425 only). Low pass filtering does remain the quickest way to filter your O2 sensor waveform without losing the benefits of fast sample rates and high sample count for other active channels. What you have identified is the filtering function does not update in streaming mode (slower than 200 ms/div). You only see the filtered waveform at the end of the existing waveform or during replay of the waveform buffer. We are looking into extended the filtering function into streaming mode and I hope this comes to fruition sooner rather than later. The annual diagnostic show, Simply Diagnostics, will be bigger and better this year with more suppliers, more technical features, more diagnostics demonstrations and all in a new modern venue. Simply Diagnostics will held on Saturday 11th July 2015 at a new location. The show will be held at the GTG training and conference centre in the West Midlands. The shows held over the past years have been a tremendous success with well over 200 customers attending. The various training sessions are of great value to new and existing customers and there will a large range of vehicle demos cover a huge range of programming subjects. Feedback on previous shows appreciation for the high technical content, relaxed environment and the opportunity to pick up jaw-dropping deals. With over 140 sessions, 12 blocks, and 4 training days this NACAT Conference is sure to deliver. For a detailed description of each seminar, please visit the NACAT Seminar Descriptions page. When you subscribe to our newsletter, you will receive approximately 12 issues a year plus one or two special announcements. We will not use your email address for any other purpose. To unsubscribe from this newsletter please email autosubscriptions@picoauto.com with "Unsubscribe Auto News" in the subject line. To make sure that your Pico Technology newsletter reaches your inbox every month, add "listmaster@picotech.com" to your email address book or safe list.